* A Completely different, Chemical Free Spray to get keep Flies and other annoying pest insects away from your horses. 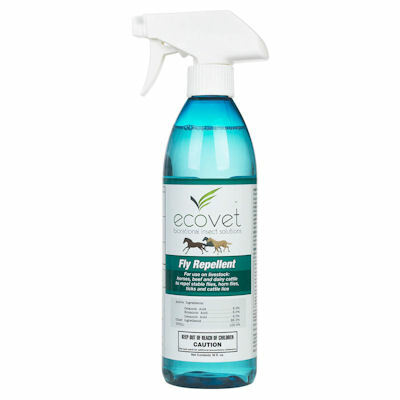 * Safe for Horses and the people applying EcoVet Spray. * Active Ingredients are Naturally Derived Fatty Acids - Not Toxic Chemicals. * Effective on many types of Flies, Ticks, Mosquitoes and Lice. * Has clinically shown improvement for horses with difficult-to-treat sweet item problems. * Long-Lasting protection - only need to apply every 2 to 3 days.